In this fragile new world, I am always encouraged when elements of the seasons that I grew up with are repeated. Amongst them, the call of the common loon is certainly foremost. SW Nova Scotia has the most acid rain stressed waters in North America. 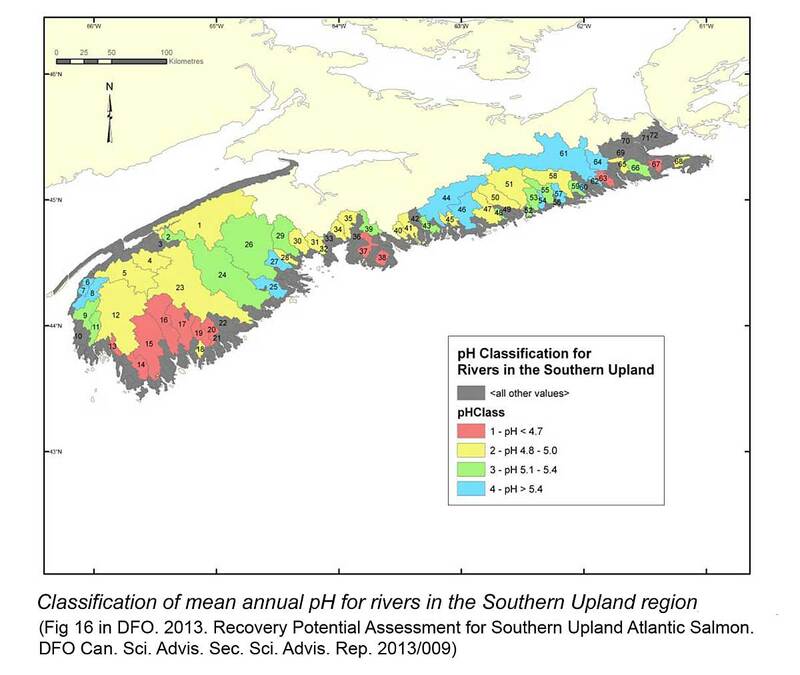 “Sixty rivers in the SU have been classified based on mean annual pH (Figure 16). Salmon populations in extremely acidified systems (pH <4.7) are thought to be extirpated (13 rivers), reduced by 90% in moderately impacted systems (pH = 4.7-5.0; 20 rivers), reduced by about 10% in slightly impacted systems (pH = 5.1-5.4; 14 rivers), and apparently unaffected when pH >5.4 (13 rivers) based on research in the 1980s.” View What’s good for salmon is good for trees in Nova Scotia…and v. versa! A few postings on Nova Scotia Birds by Date record the return of loons to Nova Scotia in early April of 2017. I celebrate their return, but worry too. 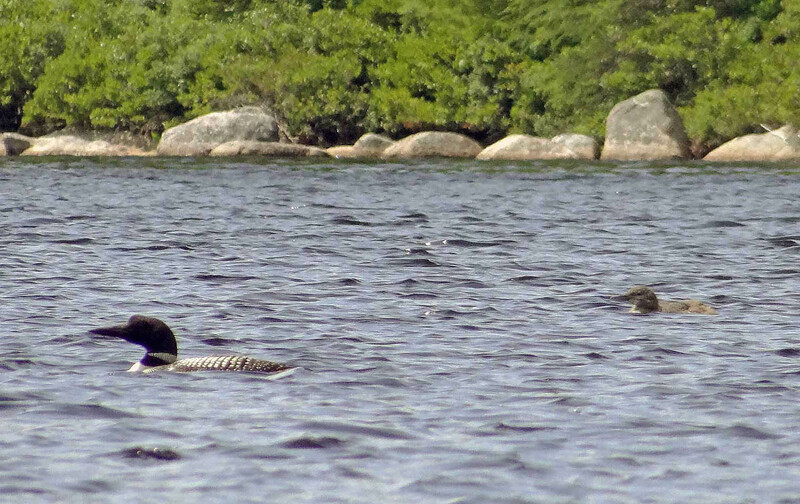 While the common loon is still common on Nova Scotia lakes, eastern populations are the most threatened by “the complex negative effects of mercury and acid precipitation on Common Loon reproductive success” (BSC). 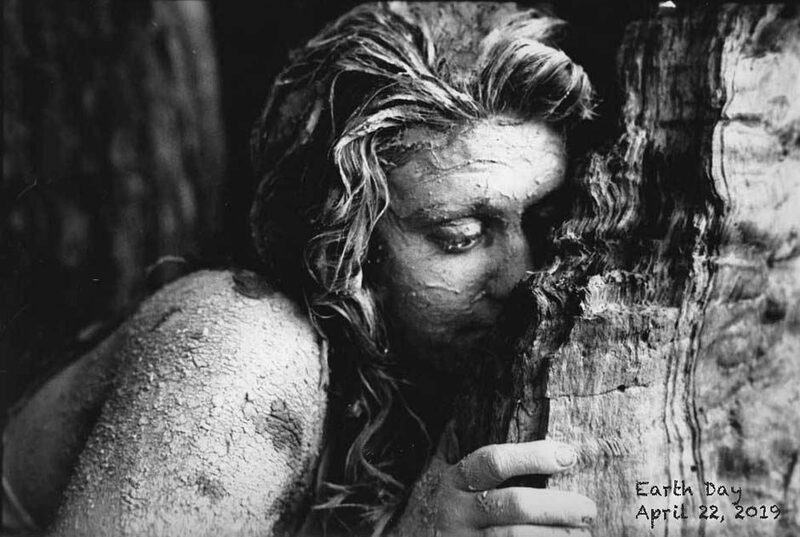 There is a link with our forests. Over large areas our forest soils are deficient in base cations needed to reduce aquatic acidity, a result of acid rain in combination with the naturally poor buffering capacity of about 60% of our landscape. SW Nova Scotia is the most strongly affected. NSDNR has acknowledged that these soil deficits are increased by clearcutting (view Calcium Depletion on this website). What NSDNR has not yet seemed to have acknowledged or highlighted are the multiple effects of our forest soil deficits, calcium in particular, on other aquatic life, songbirds, forest herbs, tree health… and a lot else. So why are we so anxious to clearcut a lot of the most fragile land in SW Nova Scotia? Oh dear, I’m ranting again when I just wanted to celebrate the return of the loons. 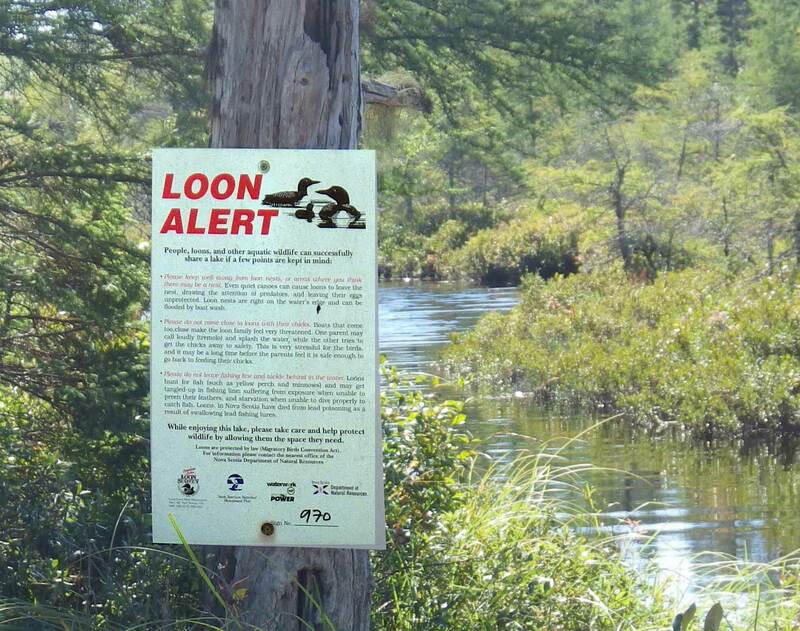 This sign by Hubley Big Lake in Halifax Co. should be posted by every loon lake! View The Common Loon, a 1992 document by Joe Kerekes to learn about about their habits and habitats on NS lakes. And, if you live by or visit lakes with loons and might want to become an official loon watcher: Become a Loon Watcher for MTRI and/or Keji. This entry was posted in Biophilia, Natural History, NSDNR. Bookmark the permalink.